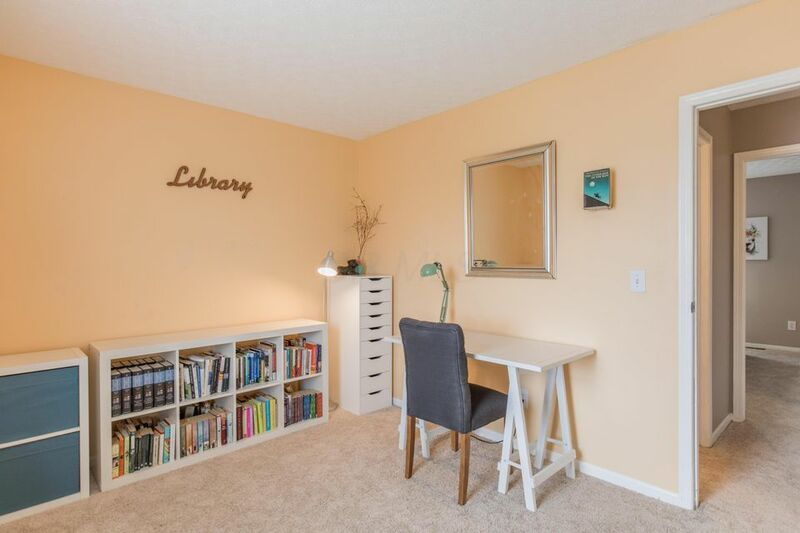 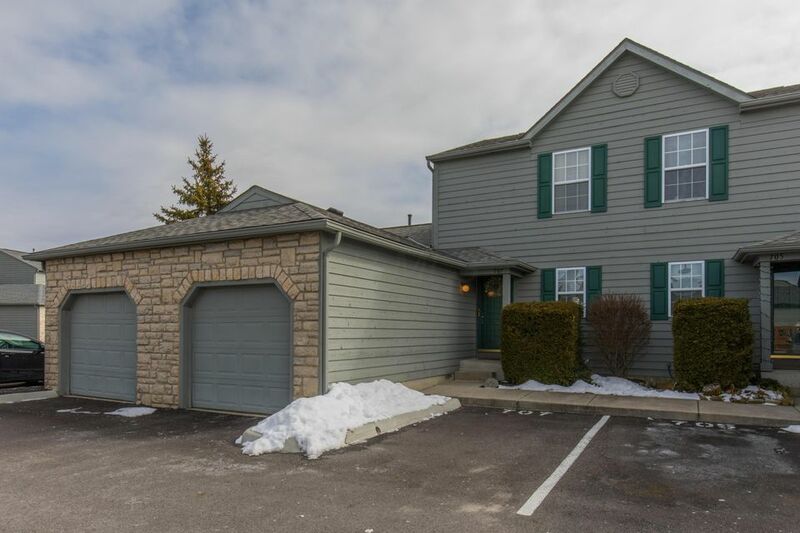 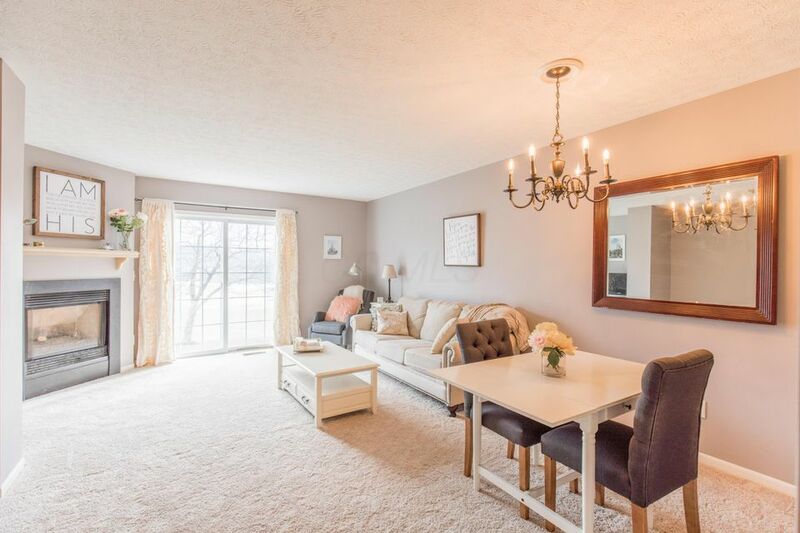 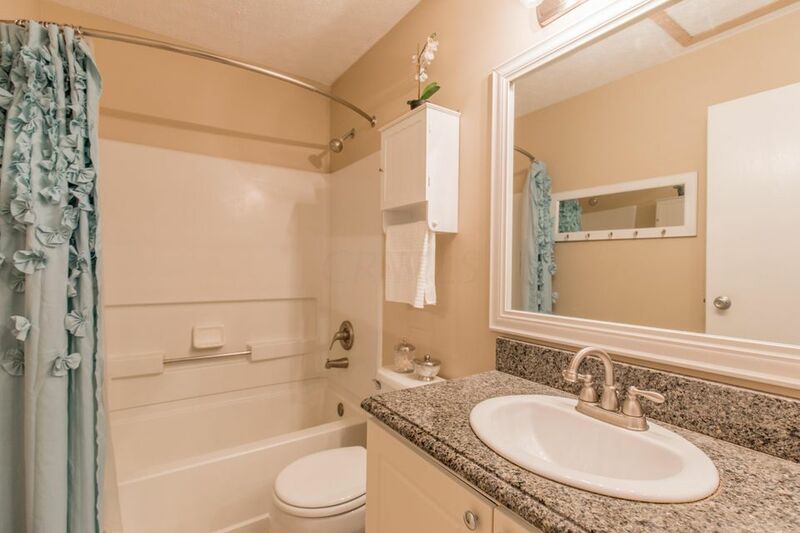 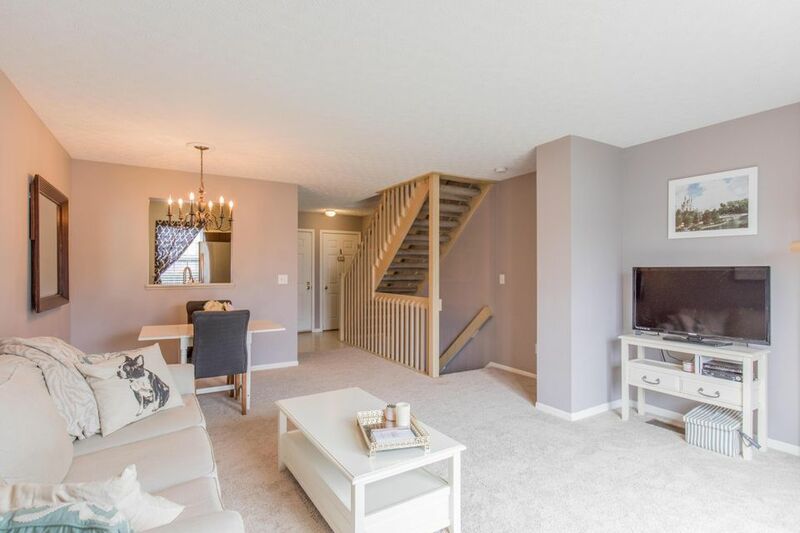 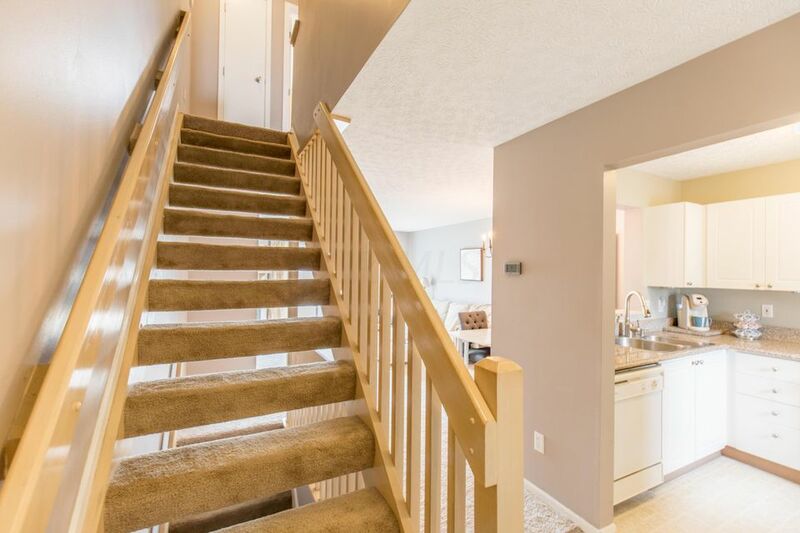 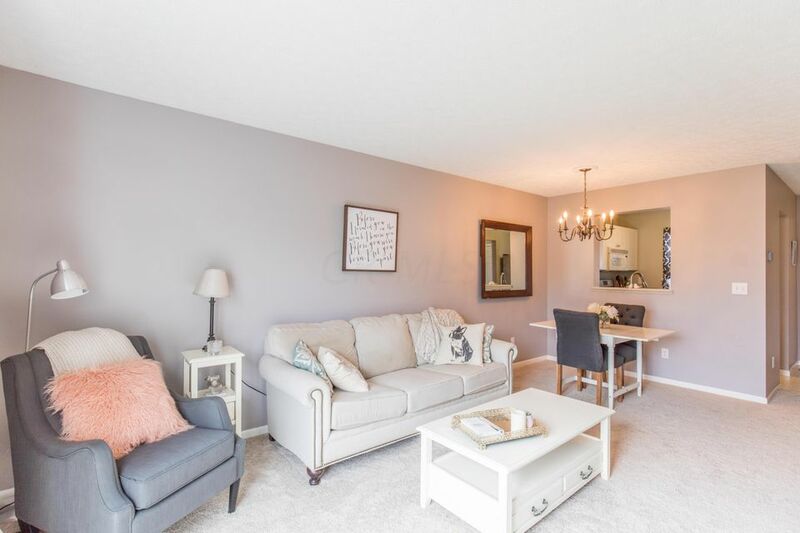 Relax and settle into condo living in this adorable 2 bedroom, 1 bathroom town home. 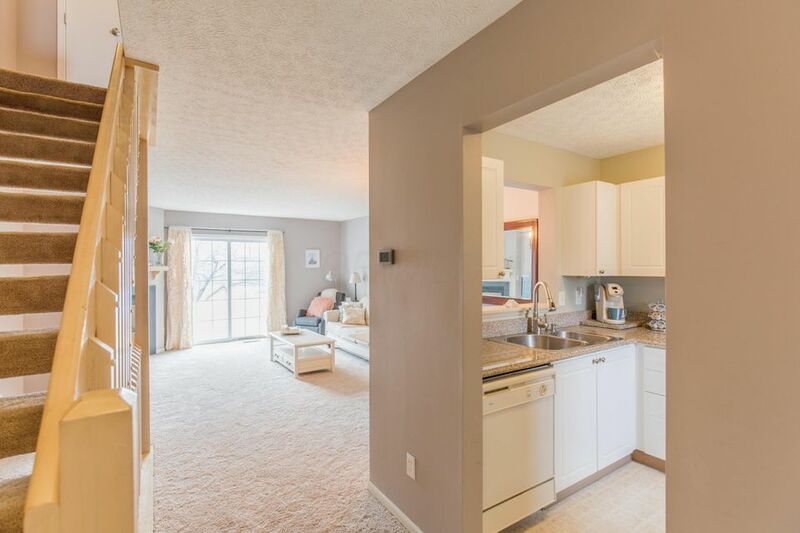 Spacious living room with fireplace and sliding door to semi-private back yard area. 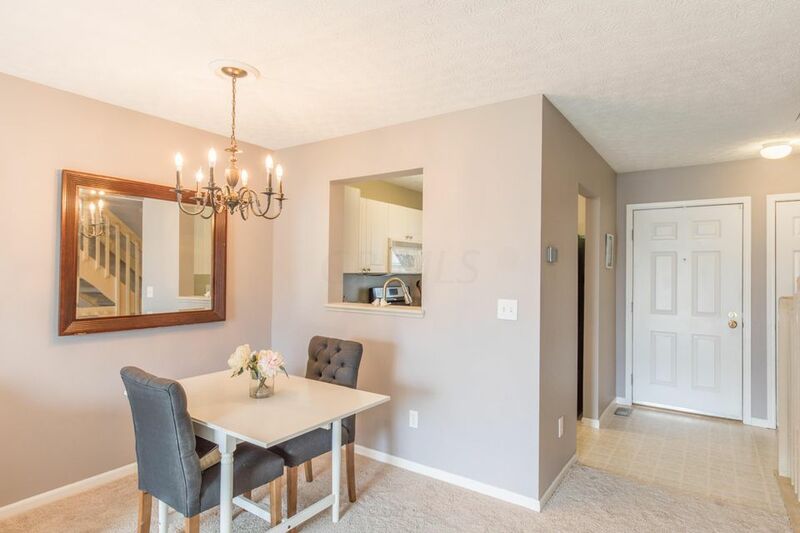 Beautiful interior with many updates. 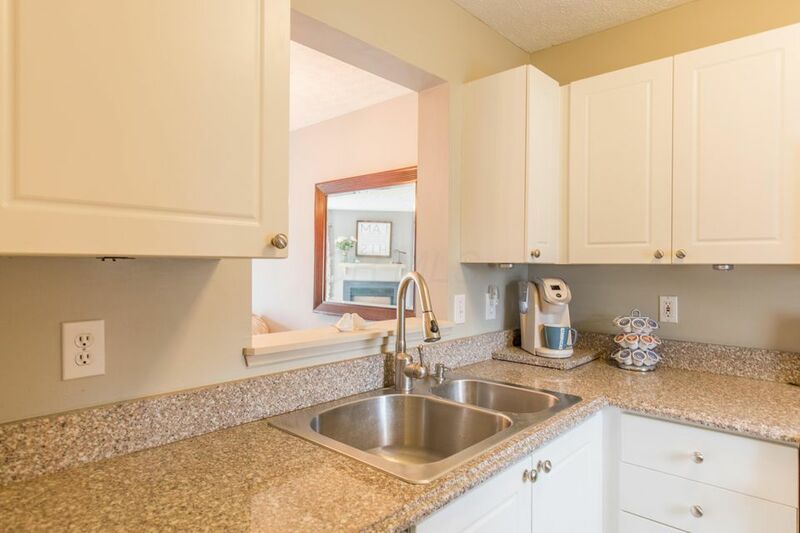 A modern kitchen that includes stainless steel stove and refrigerator, granite countertops, and white cabinets. 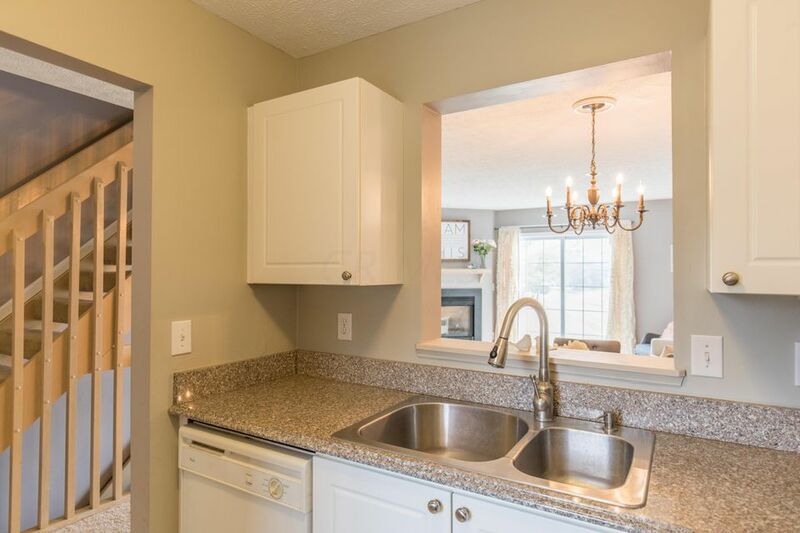 Enjoy a conversation through the open window from the dining nook to the kitchen. 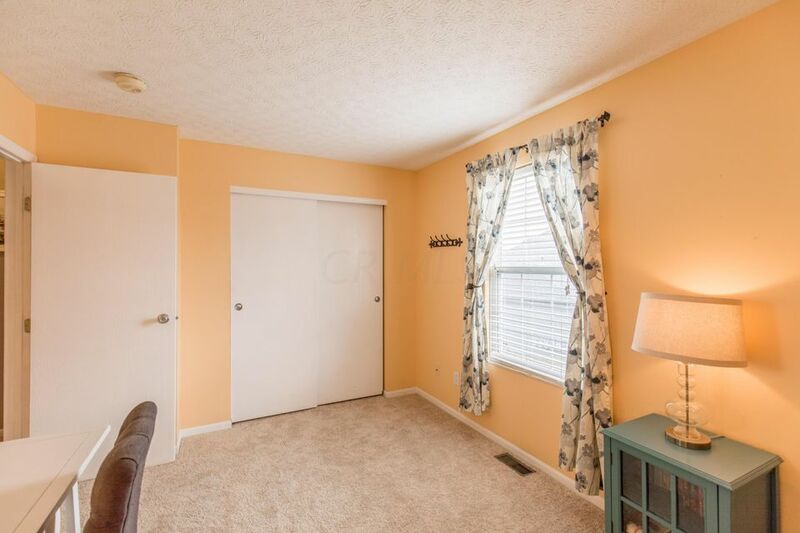 New carpet, and neutral paint colors to match. 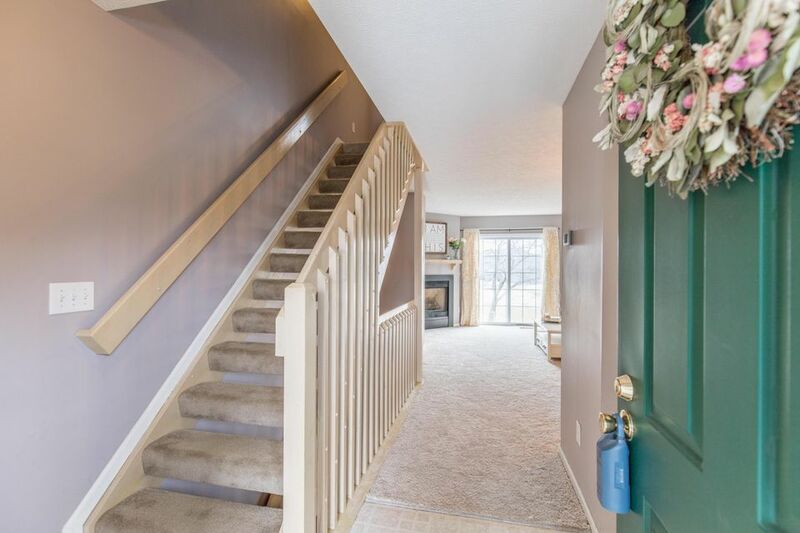 Full basement with a rough in ready to be finished to your liking and an attached 1 car garage. 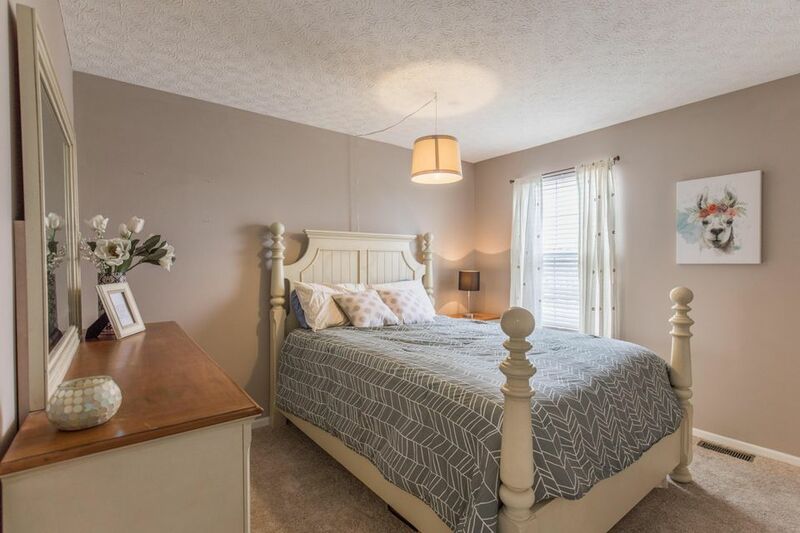 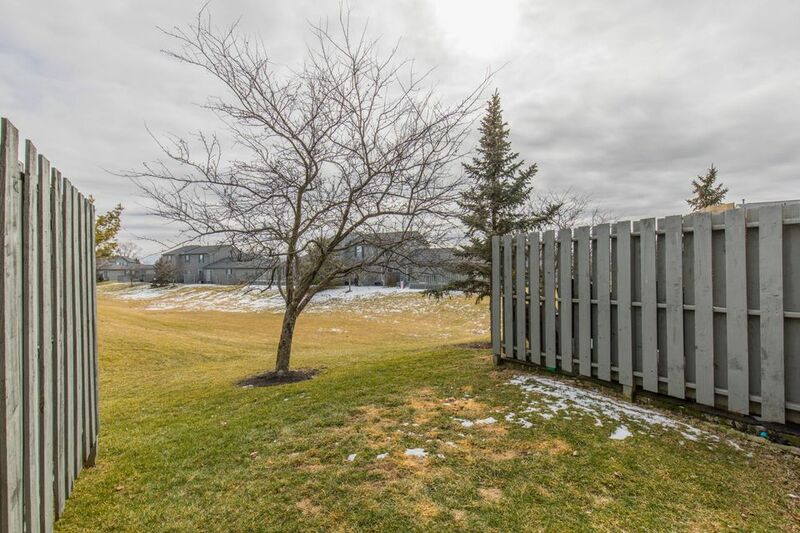 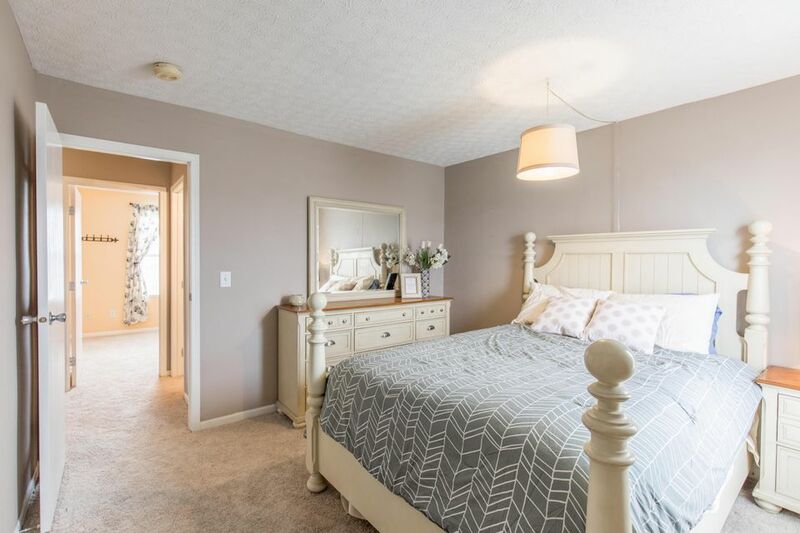 Conveniently located in Olentangy Schools and near Polaris Mall; close to many restaurants and stores, with easy highway access, Don't miss this one!